I can see the majesty and creativity of our God in all of nature, but I find myself being especially awed by the amazing detail and variety of His creation when I look closely at the small things. I see the black heart now too, and maybe the white ones. 🙂 Thanks for pointing that out! Hi ! Thanks for stopping by !!! I was happy to get this shot, because this little lady was zipping around from grass blade to grass blade like she was on a mission. 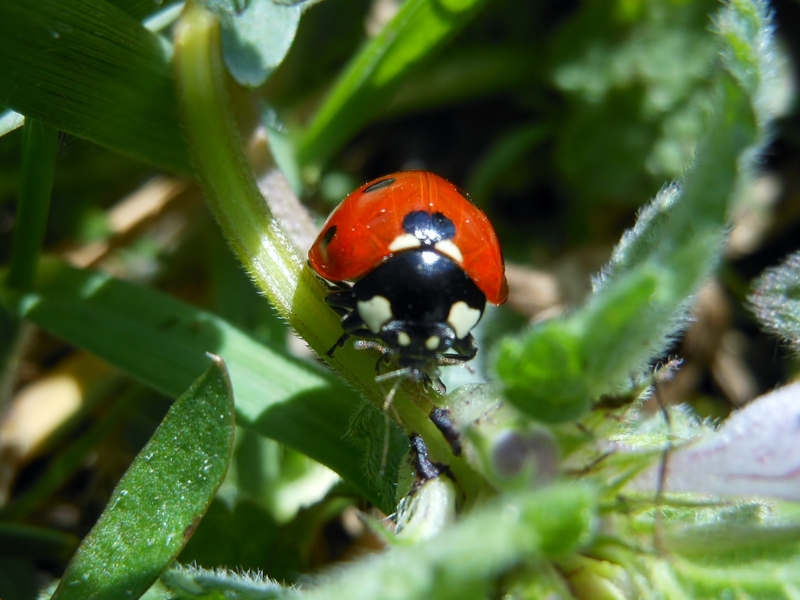 🙂 Glad to ‘prove you wrong’ on this one — I do like ladybugs! What a great shot! I generally dislike all “bugs” but you’ve proved me wrong with this one.